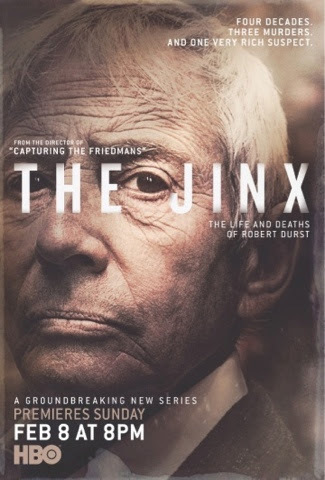 New York, N.Y., February 9, 2015 – HBO is giving all audiences, including non-subscribers, a chance to discover the compelling new documentary series The Jinx: The Life and Deaths of Robert Durst, by offering free access to the first chapter on YouTube. Beginning today, the day after the exclusive premiere on the HBO network (Sunday, February 8, 8:00 p.m. ET/PT), The Jinx will go live on YouTube YouTube.com/HBO /http://itsh.bo/1C9QytM. The sampling opportunity will be promoted on HBO’s Facebook and Twitter profiles, and at http://TheJinxHBO.com, and will run through Wednesday, March 4. Robert Durst, scion of NY’s billionaire real estate family has been accused of three murders over the past 30 years, but never convicted. Brilliant and reclusive, he has not spoken publicly – until now. The groundbreaking six-part documentary series The Jinx: The Life and Deaths of Robert Durst tracks Durst's strange history against the backdrop of unimaginable wealth and privilege. Directed and produced by Andrew Jarecki and produced and shot by Marc Smerling (the Oscar® nominees behind “Capturing the Friedmans”), it exposes long-buried information discovered during their seven-year investigation of a series of unsolved crimes, and was made with the cooperation of the man suspected of being at its center.